Another Buy the Farm win in MN Supreme Court! YES, another Buy the Farm win, just released today! Check it out, read the decision. For all of you across the country who live in states that do not have a “Buy the Farm” option, and that’s all of you anywhere but here in Minnesota, send our “Buy the Farm” to your state legislators and tell them you need it. The relevant text is below, and if you click on it, you’ll get the Legislative Revisor’s site for the whole Minn. Stat. 216E.12. NUCLEAR?!?! What is MN Senate thinking? That’s “our” reactor, the Prairie Island Nuclear Generating Plant, here in Red Wing, it’s within the city limits (which were expanded to include the plant). I represented Florence Township from 1995, when Xcel, f/k/a NSP, applied to put nuclear waste in Florence Township under the “alternate site mandate,” and that went on, and on, and on, until they finally withdrew their application at the NRC in … what, 1999? 2000? That’s one I thought would never end. But that’s the thing about nuclear, it’s never over. QUICK — CONTACT THE LEGISLATORS AT THE BOTTOM OF THIS MISSIVE. SF306 is simply worded, deleting the Minn. Stat. 216.243, Subd. 3b prohibition of new construction of a nuclear plant and changes it to “Additional storage of spent nuclear fuel” and over the previous language that states: “Any certificate of need for additional storage of spent nuclear fuel for a facility seeking a license extension shall address the impacts of continued operations over the period for which approval is sought.” It’s authored by Kiffmeyer, coauthored by Dahms and Anderson. So we have a blanket repeal of the nuclear construction prohibition, and a specific opening for a Certificate of Need for a nuclear generator at the Monticello site. Authors contact info is linked above, and emails for Senate Energy committee members and the authors are also listed below. Whether it’s targeted as a replacement for the Fukushima Daiichi style GE plant, or whether it’s to add and operate a second reactor, WHY? First, there’s no need. There is a glut of electricity, as our friend, Xcel’s Ben Fowkes said, when they could no longer keep up the GROW GROW GROW fiction. Here’s the Seeking Alpha transcript of the XEL Earnings Call, January 31, 2013. Finally, NSP-Minnesota sales increased six-tenths of a percent driven by growth in the number of residential and small C&I customers and usage increases in the small C&I class. 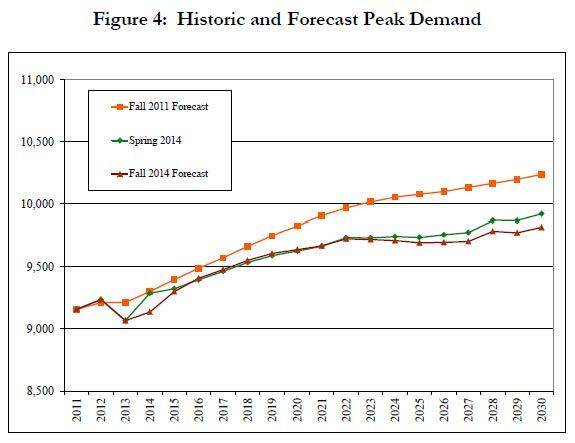 Uninterrupted system peak demand for the NSP System’s electric utility for each of the last three years and the forecast for 2015, assuming normal weather, is listed below. 2014 NERC Long Term Reliability Assessment, p. 38 (or p. 46 of 115 pdf). 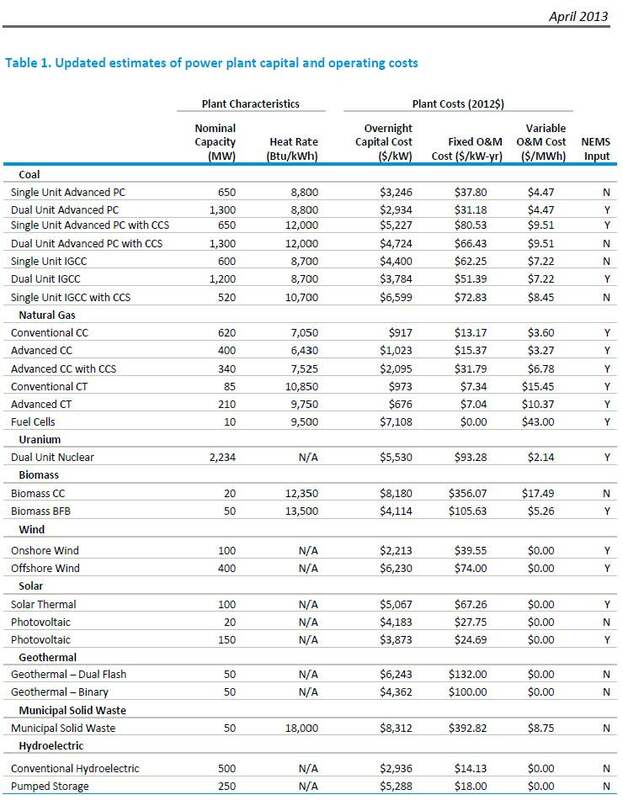 So we don’t “need” it, there’s no talk of a new nuclear plant in their recently filed IRP. So why??? And the “WHY?” may be clearer when taken into context with last week’s hearing at House Energy, where the intent, in part, behind legislation there was to make Minnesota an exporter of energy. Again, WHY? Why make the state an exporter of energy? And if we do what would that do for our rates here? How does that fit with Xcel’s well funded plan to institute its e21 Initiative, and how does that fit with Xcel’s desire to use ratepayer money to find other market options? The House bill would let natural gas plants be built without a Certificate of Need, whether by an IPP or regulated utility, with the key being that they are selling into the MISO grid, and not for Minnesota native load. The project to extend the plant’s life and increase power output ballooned from an estimated $320 million in 2008 to $665 million when it was completed last year. However, the final price tag likely will rise to $748 million, including construction-in-progress financial costs. The cost punchline on the Vogtle plant? Southern, Westinghouse and CB&I are already in court over previous cost overruns on the project, which is currently expected to cost $14.5 billion. Shaw Power Group, Westinghouse, face cost issues at S.C. project. The cost punch line here? The NRC is expected to act soon on the Summer license. Summer is projected to cost about $9 billion. So please explain — why would anyone want to build a new nuclear plant? They cost so much that it’s unreasonable to even consider, and is the definition of imprudent! Why are Reps. Kiffmeyer and Anderson trying to make this a possibility? Is this for real? Is it a diversion from some other issue? SF306 is authored by Kiffmeyer, coauthored by Dahms and Anderson, click names for links! SF0536 is authored by Anderson only. HF338 is sponsored by O’Neill ; Newberger ; Garofalo ; Howe ; Baker ; McDonald ; Nornes, click names for links!